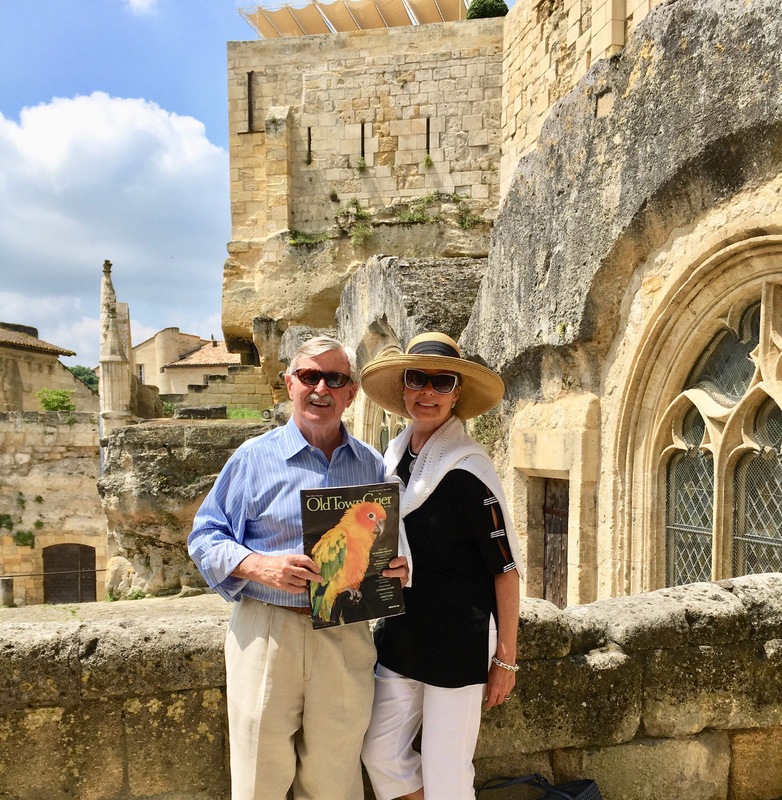 Bob and Kathy Condon, long time Alexandria residents took a dream trip to France in June. They discovered the Dordogne River Valley to the East of Bordeaux by reading a series of mysteries written by a man named Martin Walker who has had a residence in the Valley for many years. His hero is a small village gendarme named Inspector Bruno. Walker uses real places (except Bruno’s village) and real people as characters in his books. We got a blog he wrote giving the ideal “Week in the Dordogne” and used it as a guide for towns, restaurants, food and wine, caves with ancient drawings and such.